Dean Birdsell has centered his academic work on the nexus of communication, media, and information technology in politics, government, and nonprofit administration. He studies public access to information technology and advises nonprofit and governmental institutions on their communication and technology programs. His recent work on developing public sector leaders has led to the creation of more than 20 leadership programs offered in partnership with government and nonprofit organizations in New York. “At Baruch College’s School of Public Affairs, we've worked hard to show that a superb public policy and administration program can serve the interests of the City and its people well beyond classroom instruction and scholarly research,” said Birdsell. “We are also a focal point for strategic thinking, life-long professional development, outreach to under-served communities and sectors, and to partnerships across the vast array of nonprofit and public institutions that comprise the backbone of this magnificent city. Birdsell added, “I like to think that the committee's selection recognizes that good work, which is not just mine, but a vital collaboration among thousands of students, alumni, faculty colleagues, and friends in the community." 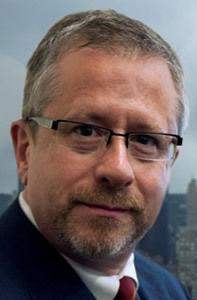 Birdsell’s work has been supported by the Pew Charitable Trusts, the IBM Endowment for the Study of Business and Government, the Lyndon Baines Johnson Foundation, the New York Community Trust, the JPMorganChase Foundation, the United Way of New York City, the Markle Foundation, and other funders. Birdsell chairs the boards of Governance Matters and the New York Federal Statistics Data Center. He serves on the board of the New York Council of Nonprofits and on the Executive Council of The Network of Schools of Public Policy, Affairs, and Administration (NASPAA). He is also NASPAA's Vice President and a Fellow of the National Academy of Public Administration. He received his BA and MA degrees from the University of Virginia and his Ph.D. in Public Communication from the University of Maryland. The 50 accomplished honorees will be profiled in the April 13 special edition of City & State magazine. They will also be celebrated on April 18 at the historic Federal Hall in downtown Manhattan. For the full list of the 50 Over Fifty honorees, visit CityandStateNY.com.